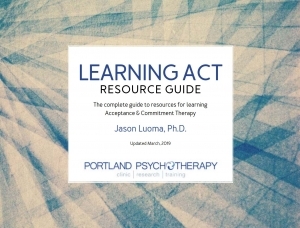 Each year, we update our Learning ACT Resource Guide with the newest resources on Acceptance and Commitment Therapy that come out each year. The guide contains a comprehensive list of all of all the ACT that have ever been published. You can browse this list, organized by category, on our LearningACT website.